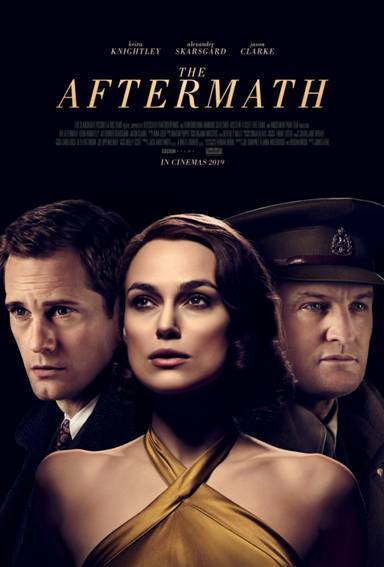 THE AFTERMATH is set to open across the UK through Fox Searchlight Pictures on 1 March 2019. The film stars Academy Award®-nominee Keira Knightley (Colette, The Imitation Game, Atonement), Emmy Award®-winner Alexander Skarsgård (The Legend of Tarzan, Big Little Lies) and Jason Clarke (First Man, Zero Dark Thirty, Everest), and is directed by James Kent (Testament of Youth) with a screenplay by Joe Shrapnel and Anna Waterhouse (Race), and Rhidian Brook, based on Brook’s novel of the same name. THE AFTERMATH is set in post war Germany in 1946. Rachael Morgan (Keira Knightley) arrives in the ruins of Hamburg in the bitter winter, to be reunited with her husband Lewis (Jason Clarke), a British colonel charged with rebuilding the shattered city. But as they set off for their new home, Rachael is stunned to discover that Lewis has made an unexpected decision. They will be sharing the grand house with its previous owners, a German widower (Alexander Skarsgård) and his troubled daughter. In this charged atmosphere, enmity and grief give way to passion and betrayal.